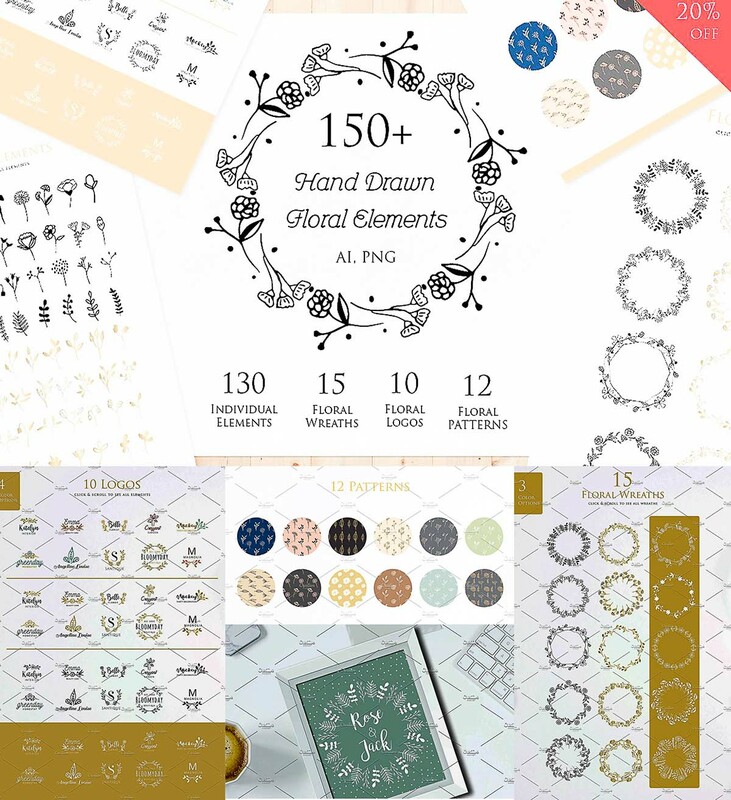 Create your own design using these 150+ hand-drawn floral elements. These pack can be used to create anything as you wish, such as logo, invitation, card, home decor, shirt design, packaging and much more. File format: .png, .jpg, .ai for Photoshop or other software. Tags: banner, botanical, decoration, designer kit, feminine, floral, floral logo, greeting card, laurel, leaf, nature, pattern, wreath.